In the boy’s Under-18 Super-4 NEM Hawks kept up their unbeaten record to top the table after the first round of matches. Hawks beat North-west rival Warrington Wolves 27-13 and Nottingham A 28-8. Oly Cats lie in second, ahead of Nottingham on goal difference, following a 20-17 win over Wolves, and a narrow 25-23 defeat to Nottingham. The Super-4 will come to a conclusion on 26 March when the teams will play their remaining round-robin match, followed by play-off games. The play-offs will pitch first against fourth, and second against third, with the winners making the Super-4 final. 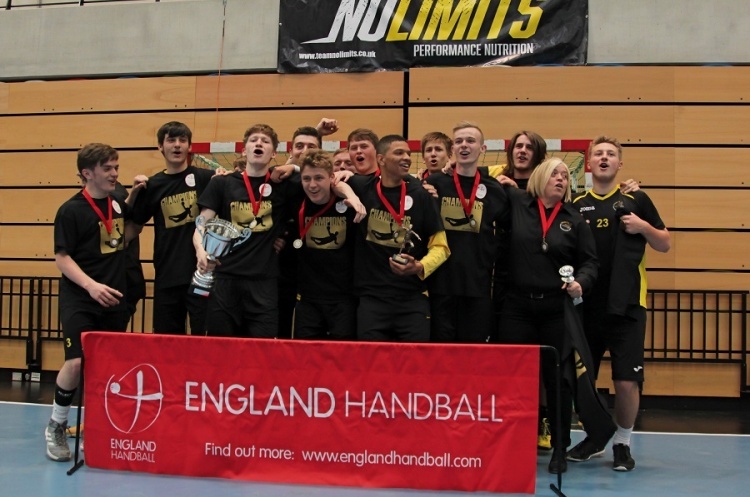 In the boy’s Under-18 Championship Carshalton Titans are top after the first round of matches at Stoke Mandeville, England Handball’s National Training Centre. They beat Ealing 20-11, and Deva 25-24 in a nail-biting clash. Poole lie second in the table, goal difference separating them from Carshalton. Phoenix also claimed victory over Ealing and Deva with 18-11 and 26-23 successes. Deva and Ealing both have two points. Deva lie ahead of the London side on goal difference. The second round of matches take place on 26 March. Each team will play their final round-robin match, and then the play-off matches in which first place will take on fourth place, and second will meet third.